Hello everyone. 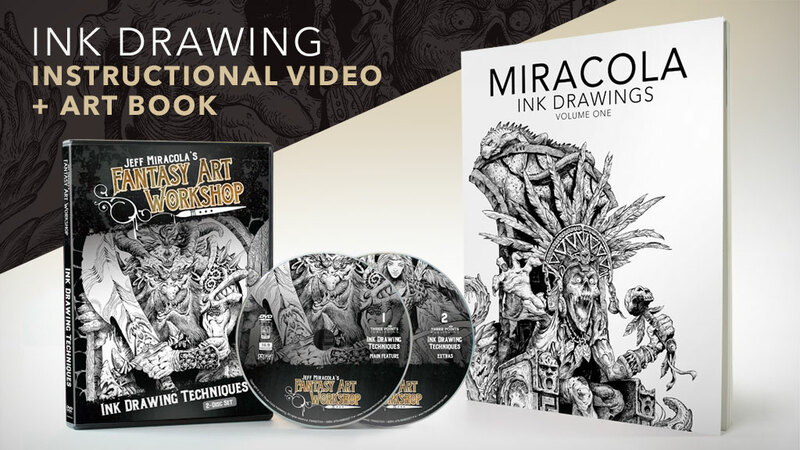 We are happy to share with you a link to a preview of our upcoming Kickstarter campaign for Jeff Miracola’s Ink Drawing Techniques Video and Art Book that will be going live October 1, 2018. Take a look because there are some limited rewards. Feel free to share feedback on the page. And also feel free to click that “Follow Project” button so you get informed when the project goes live. I missed out on the Kickstarter campaign for the inking video & book. Is there any way to still get in on it? There is still a way to get in on it. I will email you with info. Thanks.